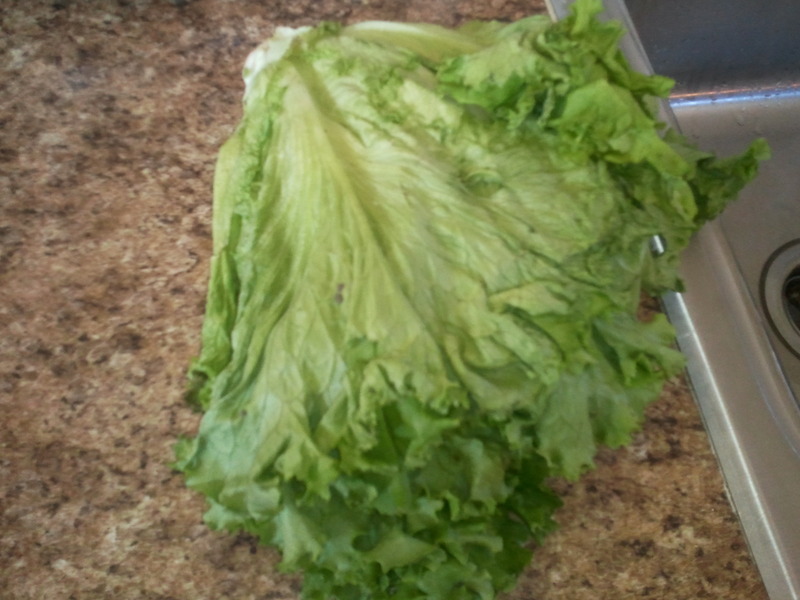 Between it being in the hot sun at Bountiful Baskets and me leaving it out on my counter to long, I often have wilted lettuce. 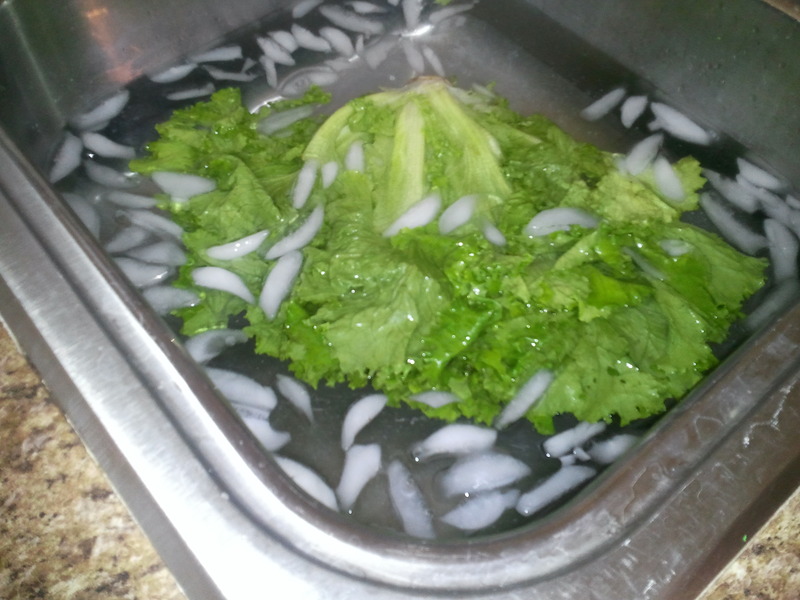 Instead of throwing it out, I now try a little trick I learned recently – give it an ice bath. So, I cleaned out one side of my sink, plugged it, filled with cold water, and added ice. 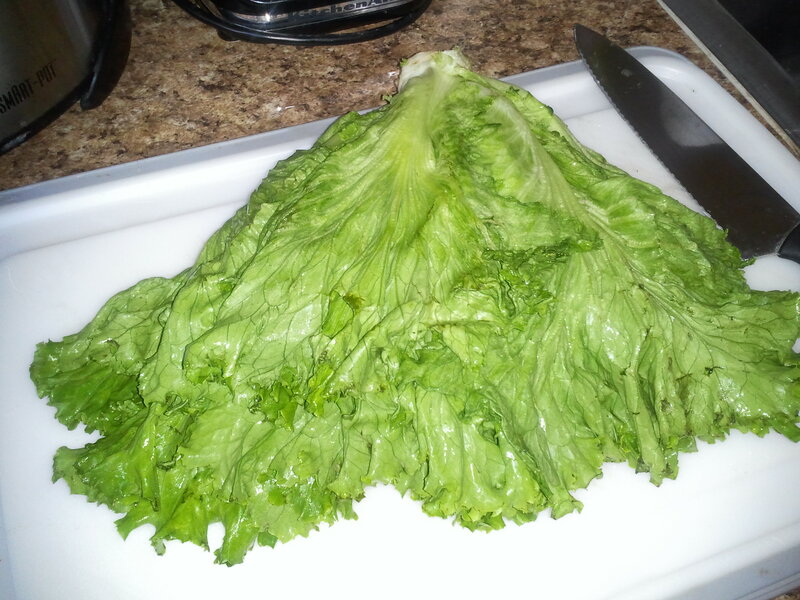 You just need to leave it in there for a few minutes, drain the sink, shake off some excess water and the end result isn’t always perfect lettuce again, but much perkier and in better shape for eating. You can try leaving it even longer to help perk it up more.